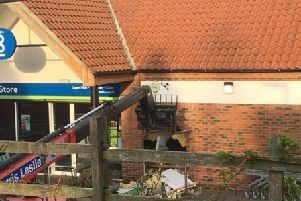 Lincolnshire police, fire and ambulance to share buildings? Police, fire and ambulance services could share resources and buildings across Lincolnshire. County fire chief Dave Ramscar has been speaking to the BBC about talks between the three services that could lead to the development of a single emergency services hub at South Park, Lincoln. He said the talks could also see the merger of administrative services as well as a shared control room, with Lincolnshire Fire and Rescue joining the one at the county police headquarters in Nettleham. If the move goes ahead, it would also allow police to use fire stations across the county. Mr Ramscar said discussions are in the early stages and will look at what is best operationally as well as financially.